Amor, a longtime friend and fellow choir member from my old church, contacted me requesting that I take photographs of her son and his girlfriend at Folsom Lake. As you'll see, I took a lot of photos of the couple, but I also snapped a few of mom and son together. 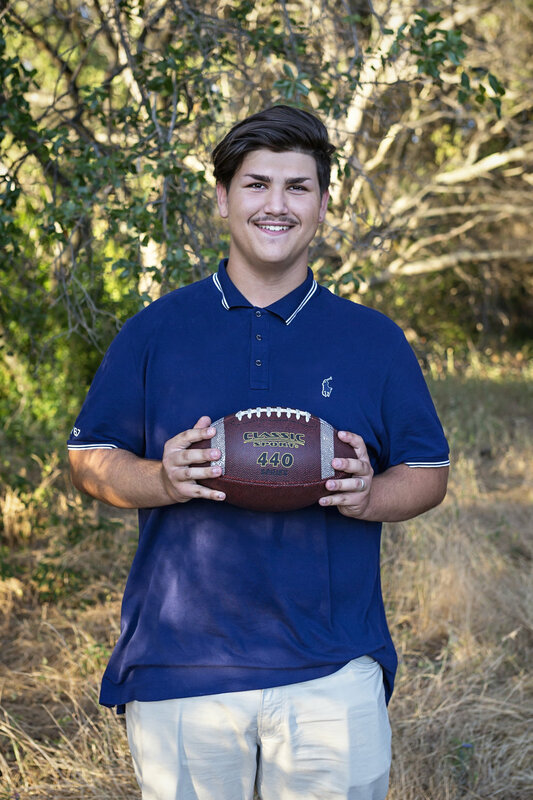 In addition, I took a handful of individual shots of Santino who will be a senior at Casa Roble High School (go Rams!) in the fall. Hello head shot for the yearbook! Mom brought along two props (a pillow and football), which we used during their session. As I do before all sessions, I emailed a questionnaire to the family, and Santino filled it out. One of the things Santino mentioned in the questionnaire is that he loves his girlfriend's smile. With that in mind, I focused on capturing as many of her grins as possible. Enjoy the rest of the summer, Taylor family. Hope to see Santino play football in the fall!